Summary of Side Event Investing for Reshaping Food Systems - Blog | EmergingAG - Emerging Ag Inc. In the context of the 2018 United Nations High Level Political Forum (HLPF), the Permanent Missions of Canada and Jamaica to the United Nations and the International Food Policy Research Institute (IFPRI) hosted a side event, Investing for Reshaping Food Systems, to bring attention to the importance of investing in reshaping food systems to deliver the Sustainable Development Goals (SDGs) and achieve broad-based development. The side event convened on 11 July 2018 in Conference Room 9 and advocated key policies and investments to reshape food systems that can help us achieve multiple SDGs by 2030 – food systems that are efficient, inclusive, climate-smart, sustainable, nutrition- and health-driven, and business-friendly. Read the full summary for the side event "Investing for Reshaping Food Systems"
Morgane has been working in international development and communications in relation to the agrifood sector for the past 15 years. She has worked for international organizations, NGOs, and the private sector. She has been a spokesperson for specific industries as well as business groups in international policy processes. For two years, she was the private sector representative at the UN Committee on World Food Security where she helped found the Private Sector Mechanism. She was also vice-chair of the Food and Agriculture Committee of the Business and Industry Advisory Committee (BIAC) to the OECD. Morgane is passionate about building engagement with diverse stakeholders and representing civil society in United Nations processes and agencies. She has a strong background in corporate and digital communications. 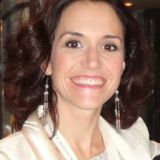 Prior to joining Emerging Ag, Morgane was Director of Communications at the International Fertilizer Industry Association (IFA). During her time at IFA, she co-chaired the Farming First coalition. She also worked for the World Bank and the International Food Policy Research Institute (IFPRI). She has conducted fieldwork in Latin America and Africa. A French national, Morgane is fluent in French, English, Portuguese and Spanish. She holds a Master of Science in Development Studies from the London School of Economics, an MBA from the Sorbonne Graduate Business School, a BA in History from the Sorbonne University and a BA in Chinese from the International Institute of Oriental Languages.